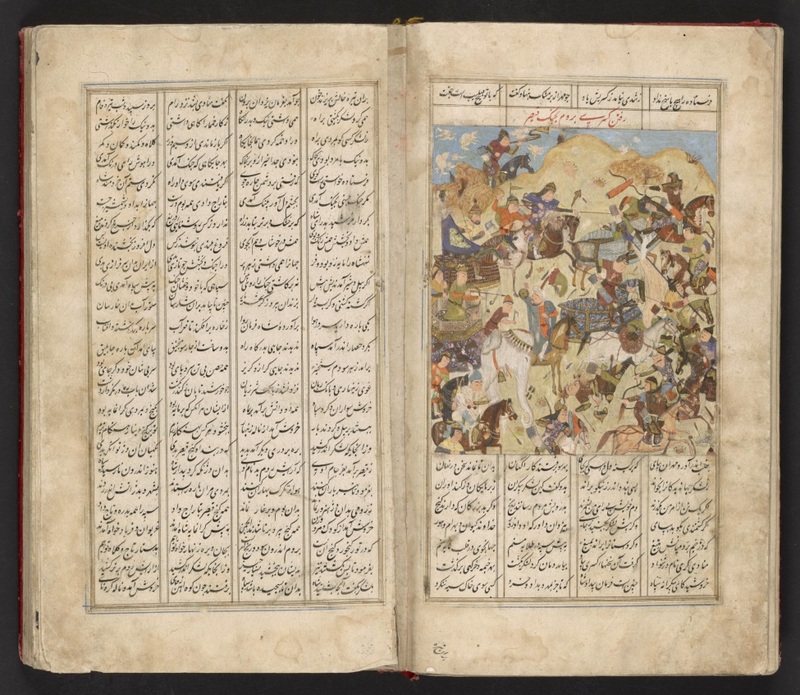 This is guest post by Hirad Dinavari, reference specialist for the Iranian World Collections, African and Middle Eastern Division of the Library of Congress. 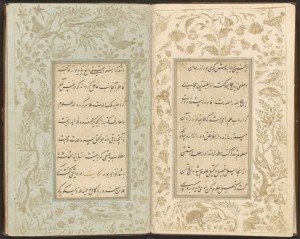 The Library is currently in the process of producing a curator-guided online tour of the Persian book exhibit. 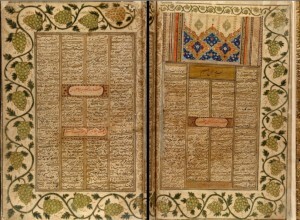 A “curator guided tour” video of the Persian book exhibit is expected to be publicly available in early April. The exciting thing about working at the Library is that you start with one project and it leads you to another, and then another. 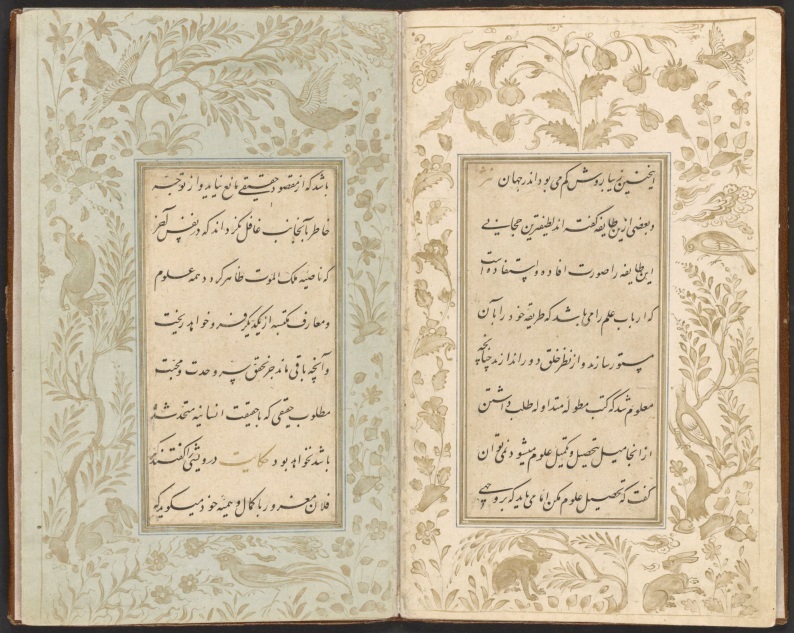 Among the materials we exhibited were some of the most exquisite Persian manuscripts in our collections, which brought tens of thousands of people to the Library. This year I planned to digitize these manuscripts and make them available online for everyone around the world to see. But I also wanted other items in the Library’s collections to be included,such as lithographs, early printed books and more modern items from Iran and the greater Persian-speaking regions of Afghanistan, Tajikistan, Central and South Asia and the Caucasus. 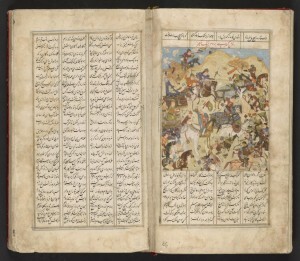 Because of my continual involvement in identifying items, including Persian manuscripts, that are too delicate and brittle to serve researchers in the African and Middle Eastern Reading Room, I realized that in order to make them available, digitization was not only a viable but also an unavoidable solution. Thanks to my participation in the digitization of Afghan and Islamic materials for the World Digital Library over the past five years, I was prepared to embark on a major digitization initiative to preserve these items. The Persian Language materials being digitized are all rare, public domain works and for most part are housed in AMED’s Near East Section rare book cage. 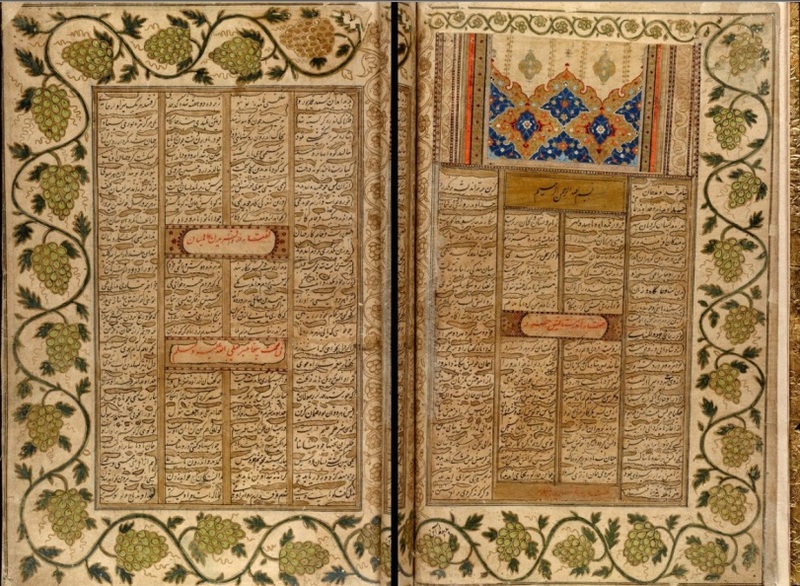 To be manageable and effective, this project adopts a phased approach by categorizing these materials into four types: Manuscripts (Part A), Lithographs (Part B), Early Imprints (Part C) and Islamic Book Bindings and South Asian Persian language Handwritten Booklets (Part D). Mīr ‘Alī Ḥusaynī Haravī. Unnamed Sufi treatise, Mashhad or Herat, Iran-Afghanistan, March 1520. Manuscript. African and Middle Eastern Division, Library of Congress. https://lccn.loc.gov/2012498358. Each item has to be examined by a conservation specialist and stabilized if need be for scanning purposes. All uncatalogued titles are then hand carried to the Persian language cataloging team for the creation of a bibliographic record and then released to the Scan Lab for a page count before scanning. After scans are made, project codes are entered into the bibliographic record and sent to the Content Transfer System, where they are added to the AMED digital project server under the larger Library Services server. Work has now started on Part A of the project, the Persian manuscripts. I am very pleased to report that so far over twenty manuscripts have been fully cataloged and scanned. Digitized materials will gradually be made available online as the project continues progressing. The images in this post from the scanned manuscripts provide a sampling of the content being digitized. This is a syndicated post. Read the original at The Signal: Digital Preservation 2016-03-10.